Time to dig into church history — this field should be booming! Back in 2010, my now PhD supervisor remarked that as confessional entrenchment/denominational attachment has decreased, so has interest in ecclesiastical history (is this one reason we rebranded ourselves here as History of Christianity?). I’m not sure if this is true or if it was simply a feeling she had, but if it is true, I’m not so sure it makes a lot of sense. I think that church history as a field of study can truly blossom with lessened denominational hostilities. This thought came to me today while reading about this guy Apiarius of Sicca Veneria in North Africa. Briefly, he was a presbyter who was removed from holy orders by his local bishop and decided to appeal to Rome. 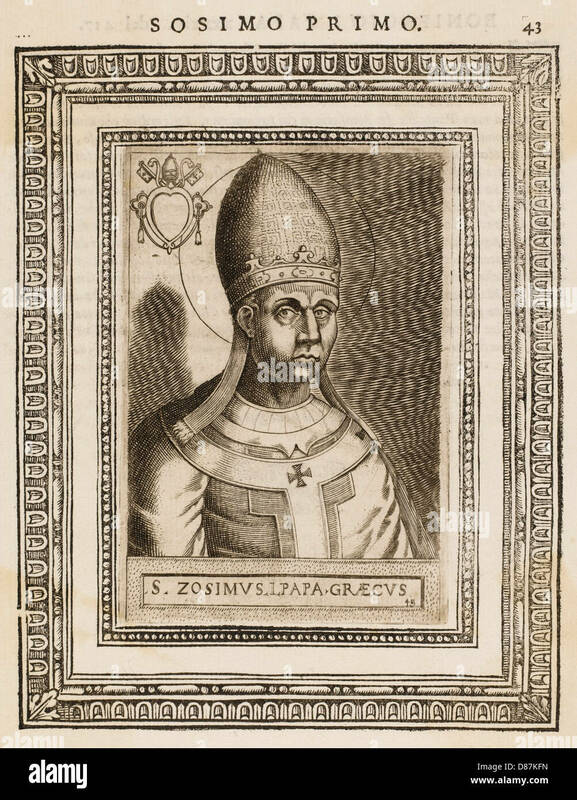 Pope Zosimus got involved and — well, ecclesiastical history. An important moment in western canon law, despite how little attention it tends to receive. Catholics: Well done Popes exercising your apostolic authority against those rebellious Africans. Protestants: Well done Africans in resisting the arrogant self-aggrandisement of the Popes. This is also not far from every time the Bishop of Rome butts heads with orthodox Eastern Bishops, Gallic bishops, Sicilian bishops, Spanish bishops, Welsh and Irish bishops, and so forth. The pope and/or his representatives or those who at least side with him are pictured by Catholics as representing good order and good government, putting right the wrongs of the world, and by Protestants as representing the arrogation of worldly power and the stamping out of true Gospel spirit in the provinces. Sometimes one side has more of the truth than the other, but it’s not really what’s usually going on. Also, we can lay off the anti-papal polemic. Gregory the Great sent missionaries to England because he thought London would become a rival patriarchate? Really? And we can turn our eyes to the world beyond Europe and the Mediterranean basin. Since we no longer feel compelled to obsess over our own Roman Catholic, Methodist, Anglican, Presbyterian, Lutheran history, we can look at the history of the church in Mesopotamia or Ethiopia. We can ponder Franciscans in the Caliphate. We can take into consideration the Church of the East (‘Nestorian’) in China during the Middle Ages. We have 2000 years of ecclesiastical history to play with. 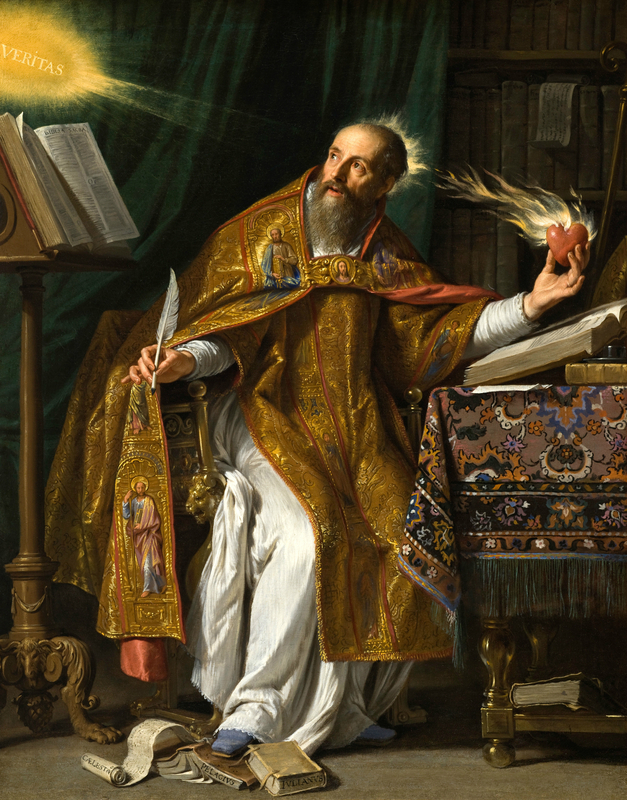 Just because something didn’t happen within one’s own confessional sphere of influence doesn’t mean it isn’t interesting and doesn’t mean it doesn’t hold wisdom for the church today. *Fun fact: St John Chrysostom whose exegesis is much beloved by low-church evangelicals of late did all these things. If terms like aphthartodocetism don’t make you interested in Patristics, hopefully names like Aphrahat (called ‘the Persian’) and Chrysostom (means ‘Goldenmouth’) will. I blogged here recently about how the Fathers can help us untame the paltry god of our own making; the faith — trust, reliance — of the Fathers is also untame, as we see below. Faith, the attitude of trust and reliance, of repose and assurance, in the All-mighty, Untame God can transform us and the world. We just need to actually have it — actually trust in what God can do in our lives by His good grace. The prayer whence comes this quotation is a mediaeval East Syrian (ie. ‘Nestorian’) Eucharistic prayer, still recited to this day in Syriac in the Assyrian Orthodox Church and not much changed from its reconstructed fifth-century predecessor. This Eucharistic prayer is interesting to me because it has an unequivocal statement of God becoming incarnate and suffering and dying — the sort of thing one would expect from my Monophysite friends of the Syrian Orthodox Church. It serves as a reminder that to box in the living Church according to the disputes and anathemas of centuries past can make one lose sight of the true faith of the people involved. Noting the incongruity, I am now playing Striggio’s Missa “Ecco Si Beata Giorno” — the Mass in 40 Parts. I’m not actually here to rag on the contemporary worship music scene. I trust God enough to know that He does great work through it and receives due glory from those who worship with it. However, I am here to draw attention to the magnificent beauty of the ancient, Mediaeval, and Renaissance liturgies — their hymns, their prayers, their music. God has created a wondrous, beautiful world, and it is only fitting that our worship of him be beautiful as well. This is part of the fabric of the Eucharistic Prayer of Addai and Mari. This is what drove men like Striggio to compose wondrous things like a mass in 40 (40!!) parts. Great is the Lord, and greatly to be praised! Plunging into the tradition, rediscovering the riches of things like the Gelasian Sacramentary (as I currently am) is as important as rediscovering the ancient and mediaeval theologians. Often when we look upon the offerings from Patristic blogs or at the upcoming Oxford Patristics Conference or anywhere interested in the Fathers, we find a lot of thoughts about the theology and doctrine of the Fathers, maybe some information about Church History in the Patristic Age, but less about the worship of the Fathers. Now, I realise that part of this is because of how complicated the liturgical legacy of the Fathers is. If you take any of the Eastern divine liturgies, such as the one quoted above, or those attributed to Sts. 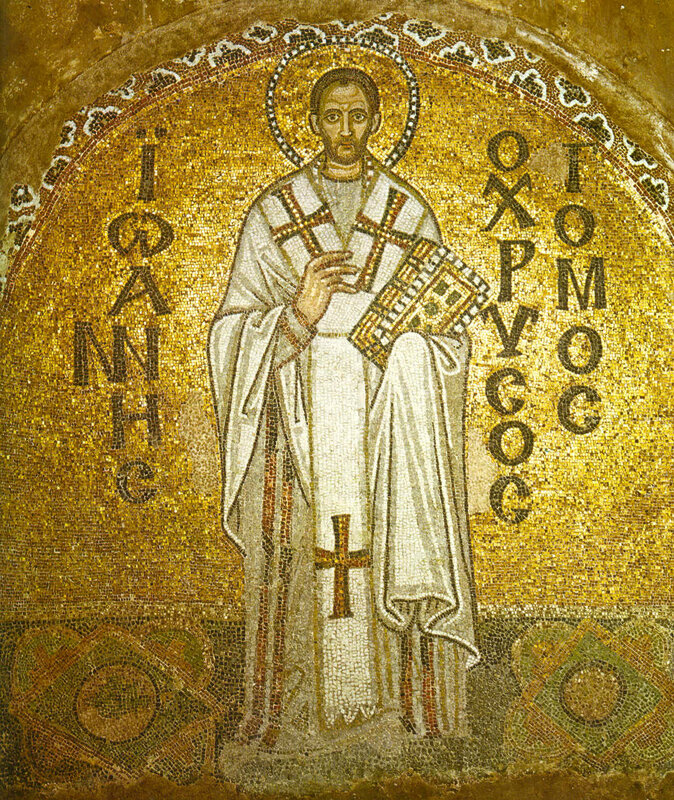 John Chrysostom and Basil the Great, you find the words and order for worship of something that has been in constant use since the fourth or fifth century (with roots stretching earlier than that). 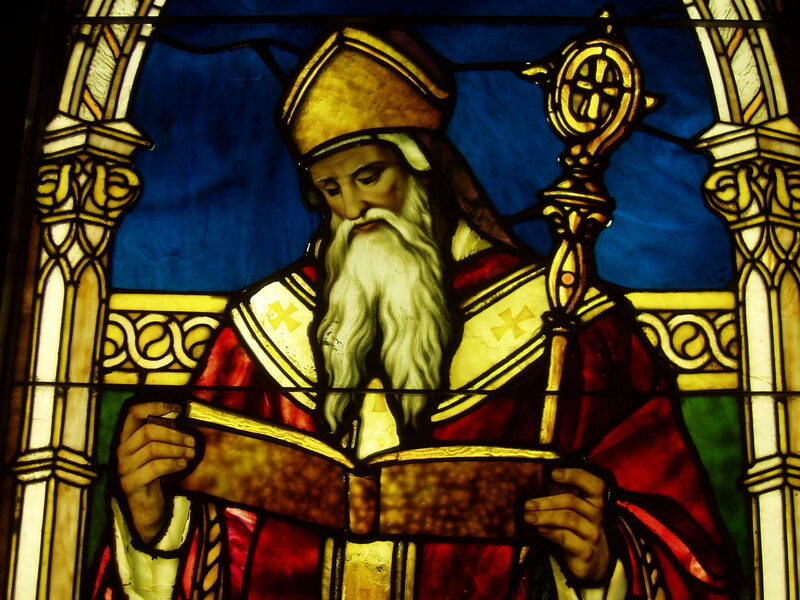 St. Ambrose’s hymns (remember this from before? ), St. Ephraim the Syrian’s hymns (such as those on the Nativity), St. Romanos the Melodist’s hymns (as here), and the hymns and poetry of Prudentius (as here) would probably be good places to start. They are allusive and beautiful, tuning and turning our thoughts upwards towards God Almighty and the worship of him alone.